Principles of Geology. Being An Attempt to Explain the Former Changes of the Earth’s Surface, by Reference to Causes Now in Operation, by Charles Lyell, has been called the most important scientific book ever written. Lyell revolutionized the study of geology by finding evidence for a number of things we take for granted today. Most notably, Lyell challenged the commonly-held belief in “catastrophism,” that is, that the earth as it appears today was mostly formed through quick, sudden geological “catastrophes,” such as the Biblical flood of Noah’s Ark. Instead, Principles of Geology suggested that geological processes mostly work through innumerable slow changes over millennia. This theory had impacts that continue to resonate in the scientific community today. Most notably, this work was read by Charles Darwin while he was aboard the H.M.S. Beagle, and the influence of Lyell’s theory of slow change over millennia is not hard to spot within Darwin’s theory of evolution outlined in The Origin of Species. Indeed, while Lyell himself was skeptical that his ideas could be applied to biological processes, there can be little doubt that this book contributed invaluable insight into our understanding of evolution. Another revolutionary impact of the book involves the concept of deep time, or the idea that the earth has existed for many millions of years. Although Lyell did not create the concept of deep time, he developed the theory as part of his work, building evidence against the Christian claim that the earth is only 6,000 years old. Lyell’s belief in deep time was not universally accepted at the time, but it has since become acknowledged as the truth. This copy of Principles of Geology is a first edition, having been published between 1830 and 1833 by John Murray in London, the same publisher who would later print notable works such as Darwin’s On the Origin of Species and The Descent of Man. We encourage anyone with an interest to drop by Special Collections and examine this book—or any other books!—in person. Special Collections and Archives is open to the public 1:30-5:00pm Monday through Friday and mornings by appointment. The national Campaign for Grade-Level Reading (GLR) recognized the Grinnell Education Partnership with several honors at the GLR Week national conference in Philadelphia July 23–27. The program received a Pacesetter designation, Grinnell was recognized as a GLR Bright Spot and five members of the Grinnell community were inducted into the GLR Council of Champions. The Grinnell Education Partnership brings together community nonprofits, area employers, the Grinnell-Newburg School District and community volunteers to support kids and families in Grinnell. Supported by a team of AmeriCorps members embedded in host sites across the community, the partnership is helping to ensure that Grinnell’s children get a strong start and a strong finish to their school experience. Since 2015–16, the Grinnell Education Partnership has engaged more than 110 AmeriCorps members, involved more than 20 local organizations and involved more than 300 volunteers who have contributed nearly 1,000 hours of volunteer time. In addition, the partnership has piloted or enhanced more than 15 community-based programs and generated nearly $60,000 in grant funding and private donations to support community-based learning activities. The Grinnell Education Partnership was recognized for outstanding alignment among the private, public and social sectors to achieve measurable progress in literacy achievement in the short term and position the community for sustained progress in the future. In 2017, Grinnell posted a 5.1 percent increase in kindergarten-through-third-grade literacy, compared to the statewide Iowa gain of only 2.9 percent. At the same time, several pilot programs initiated under the Grinnell Education Partnership were integrated into the regular operations of existing community organizations, ensuring sustainability for the future. This includes a new position within the public school district to focus on attendance. The Pacesetter designation honors select communities the GLR Campaign identifies as truly exemplary. Since 2012, the GLR Campaign has identified 85 Pacesetter communities from more than 360 GLR communities in 43 states, Puerto Rico, the U.S. Virgin Islands and Canada. The GLR Bright Spot recognition promotes peer exchange across the GLR Campaign network, highlighting inspirational solutions so communities can “steal shamelessly and share seamlessly” with colleagues. Grinnell was recognized as a Bright Spot for the innovative approach of using AmeriCorps grants to support the Grade Level Reading framework. The grants are administered by Grinnell College and provide additional human resources to local nonprofits supporting community education priorities. The Greater Poweshiek Community Foundation in Grinnell serves as co-convener with the college, spearheading private fundraising and overseeing the dispersal of funds. Grinnell’s school district and an array of nonprofits provide technical resources through community and content expertise to build high quality, sustainable programming. Sarah Seney, Fairview Elementary principal, was recognized for contributing tireless dedication, creative thinking and problem-solving to help imagine, plan and launch the SLICK (Summer Learning Is Cool for Kids) school-based program. Seney created a close partnership with Karen Neal at Drake Community Library in Grinnell to ensure that summer learning activities are convenient and accessible for families. Karen Neal, youth services director at Drake Community Library, was recognized for her role in identifying community needs and implementing innovative programming to reach children throughout the community. As a task force member, host site supervisor and dedicated volunteer, Neal helped create the SLICK Adventures program to better leverage community resources and serve family needs. She also continues to expand the library’s summer outreach by taking enrichment programming out into the community in new ways. Chad Nath, director of fitness, wellness, integrated health and day camp at Unity Point Health/Grinnell Regional Medical Center, has served for two years with the partnership as a summer host-site supervisor at the Unity Point Health/Grinnell Regional Medical Center Day Camp. In this role, Nath developed best practices for the partnership and created a vision for how the AmeriCorps program can enhance existing summer learning programs. That model, placing AmeriCorps members into existing summer programs, expanded across the Grinnell community this summer to other programs with great success. 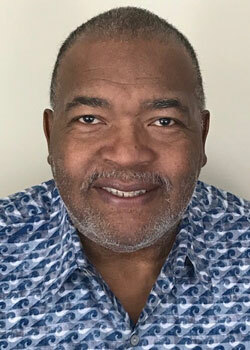 Doug Cameron, retired Grinnell-Newburg School District elementary school principal, served two terms as an AmeriCorps service member as attendance task force coordinator. In this role, Cameron convened the community’s School Attendance Task Force, which developed new ways to address chronic absenteeism and chronic tardiness, focusing on building positive relationships with students and their caregivers. Due to the marked improvement demonstrated by these efforts, the Grinnell Newburg School District has hired a full-time family engagement and attendance coordinator to sustain these efforts into 2017–18 and beyond. Julie Gosselink, president, CEO and chair of the Claude W. and Dolly Ahrens Foundation, was recognized for her role as one of the partnership’s earliest supporters. Since then, Gosselink has continued her dedication to the project as an active task force member for summer learning, contributing her advocacy, deep-rooted knowledge of the community and commitment to local community betterment efforts, bringing new partners and resources to Grinnell’s entire Grade Level Reading project. Launched in 2010, the Campaign for Grade-Level Reading is a collaborative effort of funders, nonprofit partners, business leaders, government agencies, states and communities across the nation to ensure that many more children from low-income families succeed in school and graduate prepared for college, a career and active citizenship. Since its launch, the GLR Campaign has grown to include more than 4,100 local organizations across North America as well as 510 state and local funders (including 191 United Ways). To learn more, visit gradelevelreading.net and follow the movement on Twitter @readingby3rd. The Board of Trustees met last Thursday, Friday, and Saturday, April 26-28, on campus. The following is a brief summary of the meeting. The Board elected five new members, G. Barry Huff ’73, Minneapolis, MN; Kimberly Kuncl ’87, Atlanta, GA; Saumil Parikh ’99, Newport Beach, CA; Stephen Moyer ’79 Los Angeles, CA; and Angela Onwuachi-Willig’94, Grinnell, IA and Berkeley, CA. The Board discussed and approved the recommendations from the Investment Governance Task Force. Black Panther will be shown on Friday, Aug. 10, as part of Movies Under the Stars, an annual summer series of free, public outdoor movies. Grinnell College sponsors the series to provide family-oriented entertainment, enhance the quality of life in Grinnell and foster a strong sense of campus community. Rated PG-13, Black Panther tells the story of T’Challa, who returns home to the fictional African nation of Wakanda to take his rightful place as king following the death of his father. When a powerful enemy suddenly reappears, T'Challa's mettle as king — and as Black Panther — gets tested when he's drawn into a conflict that puts the fate of Wakanda and the entire world at risk. Movies Under the Stars opened with The Goonies in June, followed by The Greatest Showman in July. All movies in the series are shown after dark at about 9 p.m. on Fridays in Central Park, 925 Third Ave., Grinnell. In case of rain, screenings take place in Grinnell College's Harris Center Cinema, 1114 10th Ave., Grinnell. Attendees are invited to bring their own blankets and lawn chairs. Free popcorn is available. The series will conclude with the showing of Saints Rest, which is not rated, on Sept. 14. Two 2009 Grinnell College graduates — Noga Ashkenazi and Tyson Stock — created the movie, which was filmed in Grinnell in 2016. This musical drama tells the story of two estranged sisters, who over the course of one summer, form a connection through their shared love of music, as they grieve the recent death of their mother. Minneapolis resident G. Barry Huff ’73. The role of the trustees is to assure the “great and lasting good” of Grinnell College. Through their commitment to institutional stewardship, shrewd financial investments, and prudent management, the trustees have enabled Grinnell to become a leading liberal arts college noted for its rigorous academics, diversity, community, and commitment to exploring issues of justice on campus and beyond. Moyer, a Los Angeles resident, is president of Distressed Debt Alpha and serves as an adjunct professor at the University of Southern California Marshall School of Business, where he teaches undergraduate, graduate, executive MBA, and online courses. After initially practicing law, he worked in the investment banking and asset management industries for more than 30 years. His prior positions included portfolio manager at Pacific Investment Management Co. (PIMCO) and director at Tennenbaum Capital Partners. He is author of Distressed Debt Analysis: Strategies for Speculative Investors, which is considered a leading text in the field. Moyer is a chartered financial analyst and has passed the Uniform Certified Public Accounting Examination. He earned his B.A. in economics from Grinnell in 1979 and received an Alumni Award in 1995 for his professional achievements and community service. He holds an MBA from the University of Chicago School of Business and a J.D. from Stanford Law School. Parikh, who came to Grinnell College from Mumbai, India, currently holds dual residency in Newport Beach, California, and Vancouver, Canada. He is a retired managing director and portfolio manager of PIMCO, where he oversaw a host of different funds covering bonds, mixed assets, and commodities during his tenure. Prior to joining the company in 2000, Parikh was an economist for UBS Investment Bank. He established the Parikh McCulley Scholarship at Grinnell College in honor of his father, Harish Parikh, and his mentor, Paul McCulley ’79. The scholarship assists international students who demonstrate significant financial need. Parikh graduated Phi Beta Kappa and received a B.A. in general science biology and economics from Grinnell in 1999. 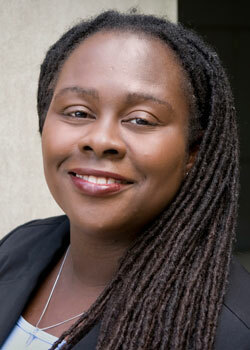 Onwuachi-Willig, of Grinnell, Iowa, is dean and professor of law at Boston University School of Law. A renowned legal scholar and expert in racial and gender inequality as well as civil rights law, Onwuachi-Willig previously served as Chancellor’s Professor of Law at the University of California-Berkeley, and Charles and Marion Kierscht Professor of Law at the University of Iowa. She also was a visiting professor in political science at Grinnell in spring 2016. Prior to these positions, she served as assistant professor of law at the University of California-Davis and a labor and employment/litigation associate at both Jones Day and Foley Hoag. She has published extensively in leading law journals and is author of According to Our Hearts: Rhinelander v. Rhinelander and the Law of the Multiracial Family. In addition, she is a past Iowa Supreme Court finalist and a past recipient of the Derrick A. Bell Jr. and Clyde Ferguson Awards. She also is a member of the American Law Institute and was previously listed on the National Law Journal’s “Minority 40 under 40” list. She received a B.A. in American studies from Grinnell in 1994. As a student, she served as Student Government Association president during her junior year and was a student adviser and a member of the Multiethnic Coalition. In addition, she was a member of the track and field and women's rugby teams. She went on to earn a law degree from the University of Michigan, Ann Arbor, and clerked for U.S. District Court Judge Solomon Oliver and U.S. Circuit Court Judge Karen Nelson Moore. She also earned a Master of Arts, a Master of Philosophy, and a Ph.D. in sociology and African American studies from Yale University. At Grinnell, she is a member of her class committee and the Multicultural Reunion Committee. She served as president of the Alumni Council and an ex-officio member of the college’s Board of Trustees in 2016–17. Kuncl is a board-certified obstetrician and gynecologist with the WellStar Medical Group Cobb Gynecologists in suburban Atlanta. She was in private practice prior to joining WellStar. In addition to her clinical duties as a physician, she currently serves as chairperson for the Performance Improvement Committee for Women's Health for Cobb Hospital. Kuncl has helped educate and train various health care professionals over her years in practice including medical students, nurse practitioner students, midwifery students, and family practice residents from Emory University Family Practice Program. She has served as a risk management case presenter for The Doctors Company’s Georgia Physician Advisory Board. 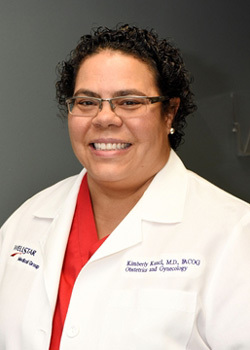 Prior to her career in medicine, Kuncl was a research specialist at the University of Illinois Chicago Medical School and at Emory University School of Medicine. In her spare time, she has served on several community boards and is a founding member of the Lorde-Rustin Giving Circle, which has donated more than $250,000 to Atlanta-area charities. The Alumni Council honored Kuncl for her professional achievements and community service by presenting her with an Alumni Award. She holds a B.A. in biology from Grinnell College and an M.D. from Morehouse School of Medicine, which included her residency at St. John Hospital and Medical Center. Huff is a retired senior vice president of marketing and communications for the National Marrow Donor Program. He previously served as president of Glory Foods Inc., vice president of Hoopeston Foods, a partner in Becky Lerdal and Associates, and marketing manager of the Pillsbury Co. He recently received a Grinnell College Alumni Award for his service as a change-maker and community builder. He has held many leadership positions in a variety of nonprofit organizations such as the Guthrie Theatre Foundation, Eden Programs, Sabathani Community Center, Park Avenue Youth and Family Services, and the National Marrow Donor Program. He holds a B.A. in theatre from Grinnell, a master’s degree in speech and theatre from the University of Michigan, Ann Arbor, and an MBA from the University of Iowa. In 1975 he returned to Grinnell to serve in the Office of the Dean of Students, leaving in 1981 as an associate dean. He was inducted into the Grinnell Athletics Hall of Fame in 2007 for football and men’s track and field. He has been an active alumni volunteer, serving on the Alumni Council and class committee, participating in Alumni in the Classroom, and being an inaugural representative of the college. In addition, John “Fritz” Schwaller ’69, a resident of East Greenbush, New York, has been elected Alumni Council president for 2018–19 and will serve as an ex-officio trustee during his term. He is a professor of history at State University of New York, Albany. Grinnell College's Community Mini-Grant Program recently awarded grants totaling more than $18,000 to seven nonprofit community organizations during the second cycle of grant funding for 2017–18. Crisis Intervention Services, a $4,500 grant to conduct a two-day training session for the organization’s leadership about how to promote recovery from traumatic stress. The training is designed to build capacity for successful crisis intervention over the long term. Genesis Development, a $1,202 grant to acquire CPR equipment and training. Grinnell Community Daycare and Preschool, a $2,400 grant to provide fitness equipment needed to expand the gymnastics program. Grinnell Children’s Choir, a $5,900 grant to support current and future fundraising efforts for long-term organizational sustainability. Lynnville Public Library, a $500 grant allowing librarians to select award-winning books, increasing the library’s offerings. Montezuma Lions Club, a $1,000 grant for outdoor musical instruments to be installed at a playground. This community playground will enhance the recreational activities available to children with and without disabilities throughout Poweshiek County. Poweshiek Animal League Shelter (PALS), a $2,500 grant for facility upgrades and security equipment. The grants demonstrate the College's long-standing commitment to activism and partnership efforts that help Grinnell become an even better place to live, work, and learn. Since 2002, the Mini-Grant Program has directed more than $400,000 toward 187 community initiatives. "We are delighted to help support so many wonderful projects that enhance our quality of life in Grinnell,” says Sarah Smith, program manager for Community Enhancement and Engagement at the College. The Mini-Grant Program provides catalyst funding from $1,000 to $7,500 for small-scale to midscale projects that focus on promising initiatives that address issues of importance to the campus community and the community at large, including cultural, recreational, and educational projects; those addressing human needs; and those enhancing the safety and beauty of Grinnell. Email Sarah Smith or call 641-269-3900. See Community Investments for additional information about the College's community contributions. Applications for the first cycle of grants for 2018–19 will be due Sept. 28, 2018. 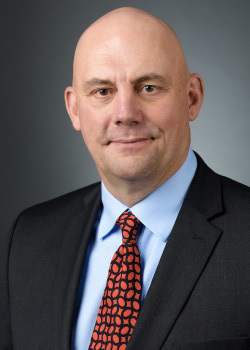 Following a national search process, Jainen “JT” Thayer has been selected to be Grinnell’s next chief investment officer (CIO). Thayer comes to Grinnell from the Oberlin College Investment Office in New York City, where he served as CIO. He will begin work in mid-September, following his relocation from New York City. Thayer will oversee the Grinnell investment office and staff with responsibility for managing assets held in the College’s endowment, valued at more than $1.87 billion as of the Fiscal Year 2017 audited financial statement. In addition to monitoring positions held currently, his team will evaluate investment themes and strategies globally, across all asset classes. He will work with the board of trustees and the administration to ensure effective oversight and management of the College’s financial assets and provide strategic leadership for the endowment. Thayer has more than 20 years as a professional in the finance industry, including experience building and managing investment portfolios for higher education institutions. Prior to Oberlin, he held senior investment positions at the New York University Investment Office and Fortress Investment Group. Under Thayer’s leadership, Oberlin’s investment portfolio generated an annual return of 8.3 percent. The market value of the endowment grew from $672 million to $872 million (through April 2018), making it among the best performing endowments nationally for the one-year period ending March 2018. In addition to reshaping the investment portfolio, Thayer established a comprehensive investment process and oversaw the development of the Impact Investment Platform. Thayer received his bachelor's degree in international relations from Johns Hopkins University in Baltimore, and earned a Master of Business Administration from the Weatherhead School of Management at Case Western Reserve University in Cleveland. He is a CFA charter holder, a designation given by the CFA Institute that is considered the gold standard in the field of investment analysis. Next year, after five years of exemplary servant-leadership, Dean Michael Latham will be making a career transition that will take him away from Grinnell and back to his home state of Hawai'i. We are fortunate that Mike will continue in his current role until the summer of 2019. Although we will miss his thoughtful leadership, I am pleased to share that following a national search process it has been announced that Mike will be the next president of Punahou School in Honolulu, Hawai'i. Punahou is the largest independent K-12 school in the United States on a single campus with 3,750 students and a global community of more than 30,000 alumni. Punahou is Mike's alma mater, a distinction he shares with President Barack Obama. In summer 2019, Mike will become the new president of Punahou with responsibility for elevating the school's profile, locally, nationally, and internationally. As president, Mike will lead efforts to strengthen and expand Punahou's financial, intellectual, physical, and programmatic assets. During his time at Grinnell, Mike has tirelessly advanced our mission by ensuring that faculty members are provided what they need for their work. He has dedicated himself to assuring the best Grinnell College possible: a close-knit intellectual community of people who are eager to engage across differences, to offer lively companionship, and direct their efforts in pursuit of knowledge that will serve the common good. Co-chaired the Global Grinnell Task Force, leading to the creation of the College's new Institute for Global Engagement, supported by major gifts to promote international strategic planning, new off-campus study initiatives, advanced foreign language programs, support for international students, and curricular initiatives. Collaborated with our faculty to provide every Grinnell student with the opportunity for a significant research experience, promoting inquiry-led learning and student intellectual and personal growth. Advanced comprehensive student success initiatives in academic advising, multicultural affairs, residential life, wellness, and mental health to raise retention rates and improve the quality of student experiences. Promoted the creation of the Digital Liberal Arts Collective (DLAC) within the Center for Teaching, Learning, and Assessment to advance innovative teaching with technology and data across multiple fields. Created a new partnership between academic affairs and student affairs to improve our support for diversity and inclusion in addition to launching the Residential Learning Task Force to advance goals related to belonging, community, and student life. Collaborated in the work to advance the goals and design of our new interdisciplinary Humanities and Social Studies Center, slated to open in 2020. His vision, leadership, and contributions to the College have been remarkable. His legacy will be to have made our exceptional commitment to individually advised teaching and learning even stronger. In sharing news of his future plans, Mike expressed how meaningful his work at Grinnell has been to him, how much he has valued his colleagues and this community, and that Punahou represents a unique opportunity to lead one of the world's foremost independent schools. Mike says returning to his roots and spending more time with family also factored into his decision. We are fortunate to have time to conduct a thorough national search for Grinnell's next Vice President for Academic Affairs and Dean of the College. We have engaged Kathryn Barry, Principal, Isaacson Miller, to help direct this process. I will work closely with Mike, our faculty, and senior staff to ensure the success of our search. Please join me in congratulating Mike on his new role at Punahou. At the appropriate time, we will share plans to thank Mike for his contributions to Grinnell College.